Please enquire about course dates and class times (on the contact page) as we are flexible and will accommodate your schedule as best as we can. One on one flexible training available please inquire. Introduction: Becoming a Spray tanning expert, why choose to have a spray tan, how does spray tanning work. Solaire spray tan products are used in the course they are the number 1 market leader for spray tan products and have won the last 5 years in a row bridal award for the best spray tan. On completion of the course, students will be able to register and have access to wholesale price products on the Solaire website. Achieve a flawless spray tan: How to correctly spray your client, client assessment how to choose the correct tanning product to achieve the clients colour requirements. Dealing with various skin types, tips for your tanning area, spray tan troubleshooting. Occupation, Health, and Safety: Health and safety requirements to meet Australian standards for Spray tanning within the beauty industry. Spray Tanning Product Overview: information and description of spray tan products, ingredients, how to choose the correct spray tan product, how to spray tan products develop on the skin. Machinery: About your system, machine troubleshooting, important information about your machine. Product and Marketing: How to price and market your spray tanning business. Information for your clients: Preparation for your client’s spray tan, the day of your client’s spray tan, things for your clients to avoid following their tan, aftercare information on how your client should care for their spray tan. Retail products: Overview of spray tan retail products that can be purchased for sale for customers. Frequently asked questions: Overview of the most frequently asked questions from customers regarding spray tanning. Travelling to salons will incur a $50 travelling fee up to 50km. Students that book the Eyelash extension course will receive 10% off any other courses booked. Salons training multiple staff members payment is required for each student and will receive 10% off each staff member if more than 2 staff members attend training. 1. A NON-REFUNDABLE deposit of 50% is required (for each course you enroll in) to secure your place in the course unless using the payment plan with Humm then the first installment payment is required on booking. However, it can be transferred to another course date once within a 3-month period at the discretion of the director as long as all fees from the original enrollment have been paid and 1-weeknotification is required. 2. All outstanding training and kit funds must be paid in full on day one of training. 3. No refund will be issued after course commencement. Once you commence the course and if you decide to withdraw from the course, full payment will not be refunded. If a student has transferred once within a 3-month period to another set course date and does not attend or cancels will result in the loss of funds for that training course and is required to pay the course fee again less kit costs to attend another training course. 4. Ceecees beauty and training reserves the right to cancel or amend any course that does not have the required enrollment numbers. 5. All withdrawals from any course must be submitted in writing. 6. Closed toe shoes, hair tied back, and appropriate clothing must be worn always during class. 7. No certificate will be issued to students who have not completed the course they are enrolled into or if they have not fully paid for the course after completion. 8. 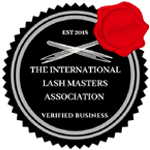 The Eyelash extension training kit is an integral component of both the training course and your future practice. Should the students decide against pursuing a career as an eyelash extension technician, the training and kit costs is non-refundable. 9. Certificateswill not be issued to students that do not complete all theory and practical components of the training course. 10. Models are strictly not allowed to participate or stay for the theory components of the training only the practical which they are required for unless authorized by the training coordinator. 11. Students that need to postpone Day 2 of the eyelash extension course need to do so in writing with 24hour notice. Students can attend another day 2 only when a spot is available. And will incur a fee of $250. Students wanting to complete day 2 on a day not allocated to a set training date will incur a fee of $499, Certificates will not be issued for just completing day 1. Day 2 will need to be completed within 1 month to receive your certificate. If the student cannot complete day 2 within the 1 month and has special circumstances, please advise in writing and each case will be handled and assessed by the director. If the student does not complete day 2 within the month period then they will have to enroll in another course and pay full fees. 12. Students that do not attend their training course booked due to certain reasons without notice will need to advise in writing the reason and circumstances and might be required to supply evidence. Students will be able to book into another available training spot and will incur a fee of half the original course fee to cover costs occurred. 13. One on one training sessions can be arranged and will incur an extra training cost of $250 per day. 14. Students requesting models to be supplied by Ceecees beauty and training will incur an admin fee of $100.Students wanting to advertise for their own models can join and advertise on the following facebookpages ( hair and beauty models Melbourne) and( All things beauty)please read and follow the pages rules on posting for models. 15. Videoing of photographing of any training session is strictly forbidden. A non refundable deposit of 50% is required for each course you enrol in to secure your place in the course. However it can be transferred to another course date once within a three month period at the discretion of the director as long as fees from the original enrolment have been paid.